Update: It’s here. The DJI Mavic 2 has been released on August 23rd, 2018. Learn more about it here. Update 2: DJI has launched the Mavic Air today (January 23) and it is available for pre-order right now. The Mavic Air provides almost all of the value of the Mavic Pro for $200 less. This means we can expect a refresh on the Mavic Pro soon to make it more competitive. If you have insider info on the Mavic Pro 2 we would love to hear from you. Please email us. The speculation continues about the new Mavic Pro 2. So far there’s been no official release date but there has been heaps of unofficial speculation. When DJI announces any new flying robot it causes plenty of excitement in the drone community. DJI is renowned for their quality drones. We’re at a point where they’ve become the standard in public drone technology. With each new product launch there are nice surprises and developments on previous models. So what about the much-awaited Mavic Pro 2? On August 31, 2017, DJI introduced the new Mavic Pro Platinum. It confused a lot of people because so many were waiting for an announcement on the Pro 2 and mistook the Pro Platinum for that. I want to clear up any confusion—the new Mavic Pro Platinum is NOT the Mavic Pro 2. There’s not even a release date for the Pro 2 yet but there’s hope that it’ll be with us before Christmas 2017. This is looking more unlikely since it would have been launched in November ahead of the holiday shopping season. We are looking at early to middle of next year for the release date most likely. So what is the Mavic Pro Platinum? It’s hard to say to be honest. If anything it’s a simple refresh of the existing Mavic Pro. It’s certainly not the Mavic Pro 2—that much we do know. Another recent launch is the DJI Phantom Obsidian which is a refresh of the current Phantom 4. Whenever a new consumer drone comes out the only way to compare it is against something else. If it’s a totally new product we compare it to something similar in its class. If it’s an upgrade of an existing model—as in this case—we compare it against that first. Let’s go back a bit and look at the original DJI Mavic to see what the PRO 2 is up against. No one can deny that the original DJI Mavic Pro was a game-changer in consumer camera drones. DJI engineered it beautifully so that users could fold it down to the size of a 1 liter water bottle when not in use. 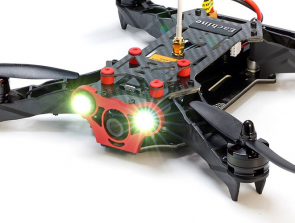 It also sported some really impressive specs, flight modes, and captivating features. The Mavic Pro gave us impressive 4K video and 12MP stills stabilized by a 3-axis mechanical gimbal. Summing up the current Mavic Pro is easy enough. We could use words like quality, lightweight, foldable, responsive, small, stable, and fun. It’s all of those things and more. So if the Mavic Pro is such a good product why the upgrade? Well, drone technology is forever evolving. That means there’s always room for improvements as long as consumers demand more from these crafts. Let’s go over these potential updates in more detail to why they’re significant. Stronger build: To be fair the current Mavic Pro is a robust craft but there are two areas that could be tougher. The joints where the arms fold could certainly be stronger as could the camera gimbal guard. Camera & gimbal: The 3-axis image-stabilized 4K, 12MP camera is one of the current drone’s strongest selling points. There are, however, some intermittent concerns when shooting video at 60/96fps that DJI could address. A better field of view (FOV) would also be a welcome feature. The Autel Evo will shoot 4K at 60 fps. This is better than the current Mavic Pro, so we can be certain that the Mavic Pro 2 will at least upgrade to this level. Drone speed: There’s a lot of speculation about DJI making the potentially sportier Mavic Pro 2 faster. It has a current top speed of around 40mph which isn’t bad. But with a drone that’s capable of traveling up to 7km from the controller it’s better to reach the destination sooner rather than later. The recently launched Mavic Air can go 2 MPH faster than the current Mavic Pro. 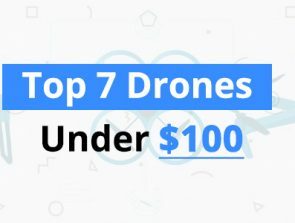 DJI is sure to increase the speed of the Mavic Pro 2 to make it worthwhile for people to pay more and upgrade. More flight time: Battery life translates to flight time and it’s one of the biggest frustrations for any drone pilot. The Mavic Pro has a decent maximum flight time—in ideal conditions—of 27 minutes. The speculation is that the all-new Mavic 2 might fly for 30 minutes or more. An extra 180 seconds may not sound much but any drone pilot knows that every extra minute in the air is precious. A flight time of at least 30 minutes is pretty much guaranteed in the Mavic Pro 2. This is because the Mavic Pro Platinum can already do this. It’s also likely that the Mavic Pro 2 will incorporate the 60% noise reduction of the Mavic Pro Platinum. Fly further: Most operators fly their craft in the line of sight or LOS. There are others who like to explore new horizons and take their camera quadcopters to places difficult or impossible for people to reach. With First Person View (FPV), flying a drone out of the line of sight is now possible. The current Mavic Pro can fly up to 4.3 miles (7km) from the controller. Rumor has it the new Mavic Pro 2 might surpass 5 miles (8km). Extra speed and flight time would be helpful for an increased range. Better obstacle avoidance: The current Mavic Pro has obstacle avoidance. It’s a technology that a lot of drones still don’t have but it’s in high demand, especially from learner pilots. The Mavic Pro only has front camera sensors. These do a good job and they’re certainly better than nothing. There’s hope that the new Mavic Pro 2 will also sport rear cameras to help improve its obstacle avoidance capability. We are quite certain that the Mavic Pro 2 will have rear motion sensors. 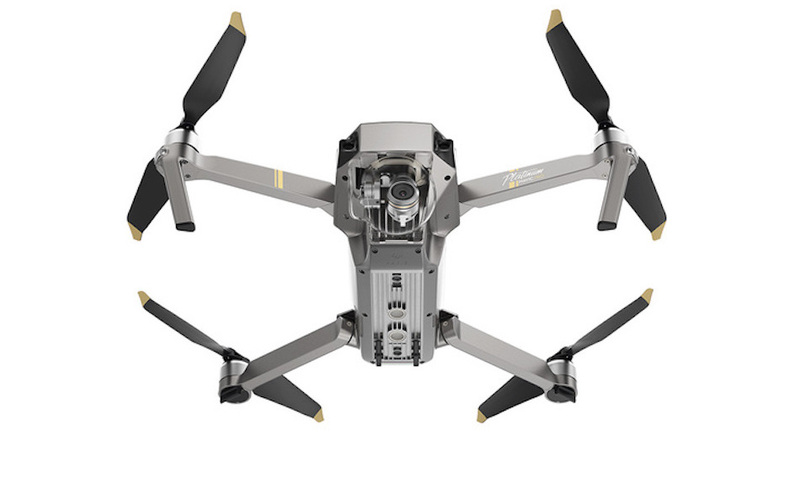 The Mavic Air has been released with them, and DJI will not allow their pro edition to be out shined by a cheaper version for long. Gesture control mode: Facial recognition, gesture controls, and palm take-offs/landings are not mere novelties. They provide a quick, fun, and convenient way to launch the drone and start filming right away within a short proximity. Right now the DJI Spark is the only drone to include this. People hope and speculate that the new Mavic Pro 2 will become smaller in size and include gesture controls. In fact, the wish is that it’ll be even better and quicker to set up than the current model. DJI is pretty good at keeping their new launches secret until they’re ready to announce. The much-anticipated Mavic 2 is no exception. Everything written on this page is pure speculation though. 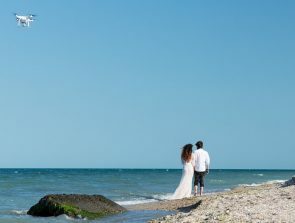 These are hopeful expectations by DJI drone enthusiasts around the world. 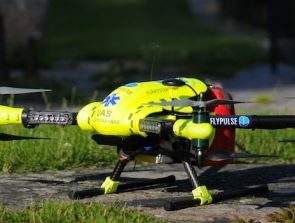 A few other anticipated upgrades are 360-degree rotating camera, an even smaller foldable craft, a removable gimbal, and some form of waterproofing. Alas, none of us can know what DJI will present us with until they finally release their new product. The sunspense is too much to bear! I love thinking about Tech while I’m running.